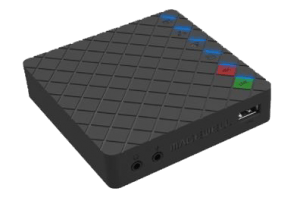 The Magewell usb capture software utility V3 is a free software for USB Capture and USB Capture Plus devices. 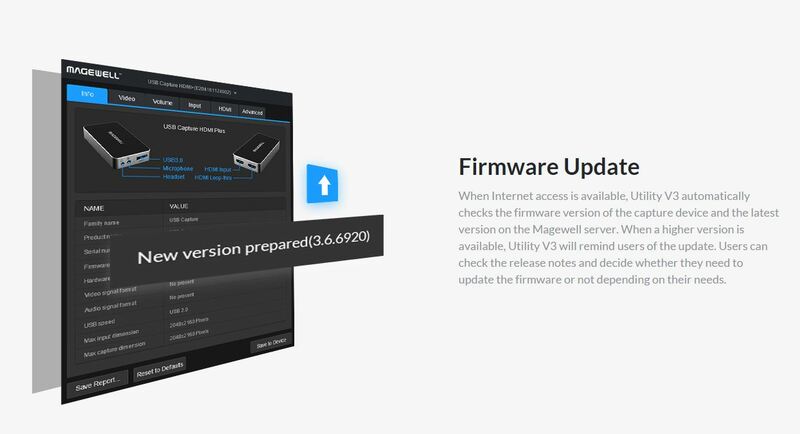 Users can easily check and set the capture-related parameters, upgrade the firmware by themselves and export info needed for technical support with the help of the Utility. 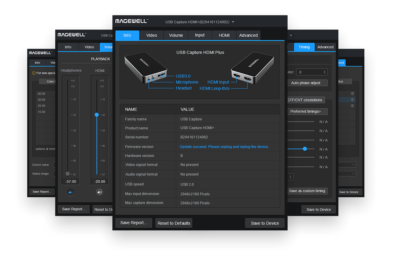 Download the Utility for USB Capture Family and for USB Capture Plus Family. 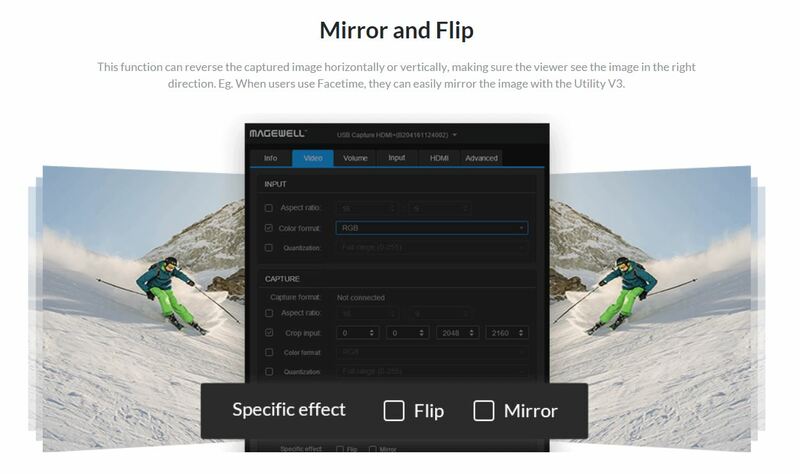 Utility V3 also provide functions such as cropping, deinterlacing, device name setting, aspect ratio conversion, timing adjustment, status image setting, etc. For detailed introduction of the settings and functions, please check the Utility V3 User Manual. browser windows to be opened and positioned on the wall.